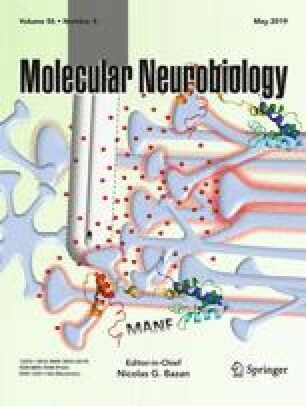 Excitotoxicity consists in a cascade of intracellular events initiated by an excessive release of glutamate and hyperactivation of glutamatergic receptors that is involved in several pathologies, including traumatic brain injury and neurodegenerative diseases such as Parkinson’s disease. Both disorders are a common cause of olfactory dysfunction. We previously reported a role for glutamate excitotoxicity in olfactory dysfunction showing an olfactory deficit 1 week after lesion and a spontaneous recovery 2 weeks after excitotoxicity lesion of the olfactory bulbs (OBs). The olfactory dysfunction recovery was associated with an increase in subventricular zone neurogenesis and an increase in the OB glomerular dopaminergic interneurons. However, the underlying molecular mechanisms involved in the OB dopaminergic differentiation and olfactory recovery are still unknown. To investigate the role of silent information regulator family proteins sirtuins (SIRTs), a family of NAD+-dependent histone deacetylases, on the olfactory function recovery, we examined the OB SIRT (SIRT1, SIRT2, and SIRT4) expressions after OB excitotoxic lesions in rodents. N-methyl-d-aspartate (NMDA) OB administration induced a decrease in the number of correct choices in the discrimination tests 1 week after lesions (p < 0.01) and a spontaneous recovery of the olfactory deficit 2 weeks after lesions (p < 0.01) associated with an increase in OB SIRT1 and SIRT4 expression. Our results point out for the first time the association between recovery of olfactory function and the increase in bulbar SIRT1 and SIRT4 expression suggesting a role for these SIRTs in the pathophysiology of recovery of loss of smell. This work was supported by a research grant (110610) from Fundació La Marató TV3. All experiments were carried out following the European (2010/63/UE) and Spanish (RD 53/2013) regulation for the care and use of laboratory animals and approved by the local government (Generalitat de Catalunya). The Ethics Committee of our institution approved this study.